St Francis parkrun in the Eastern Cape has been running for over 5 years, with almost 50,000 km clocked up by parkrunners in that time. Hantie van der Westhuizen shares more about what makes this coastal golf course event special. When was the parkrun set up? 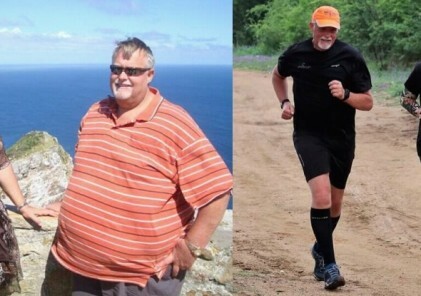 Bob Norris was looking for a venue for the 3rd parkrun in the Eastern Cape and contacted a running club in Jeffreys Bay. They told him to get hold of the Stewarts in St Francis who apparently “never say no to a challenge.” He arrived at the St Francis Links in his running gear, ready to inspect the route, but was offered a cup of coffee and muffin and shown the route in a golf cart instead! We kicked off on 13 July 2013 with 226 parkrunners, which was the launch record for over 9 months! Clearly there is not much to do in the platteland, everyone flocked to the St Francis Links to see Bruce Fordyce! Who was responsible for getting it off the ground? Eric and Esti Stewart, who are still Event Directors. The fact that we have the St Francis Links as a venue makes things very easy – we have no security or parking issues, the route is permanently marked, the club house is there for a parkrun breakfast afterwards. We need the minimum volunteers which makes it sustainable in the long run. What have been the highlights of your event so far? Each and every Saturday is a highlight. As a small community you get to know the parkrunners very well and know the story behind the story. So, to see cancer and stroke survivors crossing the finish line makes you as proud as of the ones who started parkrun “just for the breakfast” and now are doing marathons. Are there any memorable or funny moments? Three months after our launch we had horrendous weather. The thought of calling it off didn’t even cross our minds, and we were having coffee in the club house. Next thing a couple walked in and asked us where the parkrun starting point was. It was Tim and Sue McIntyre from the UK, they were on holiday in Knysna and drove the 200km to do their 220th and 229th parkrun respectively. We phoned a few people and found another 6 who ran with Tim and Sue. Tim once was on the cover of Runners World, doing a parkrun in snow, but said the conditions on the day here was far worse than running in snow! However, that was the first time that we realised that we were part of a global family and that some parkrunners would go to extremes to add another parkrun to their list! Who are the volunteers who make your parkrun a success? We lost them to Jeffreys Bay parkrun! 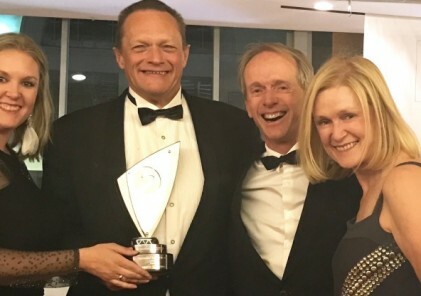 Jokes aside, you will have to look far to find more dedicated people than Ron Miles and Koot Swanepoel. They drove the 30km week in and week out to set up our parkrun as well as to run before they started the one in JBay. We often would get there, and everything was already done before 07:00! 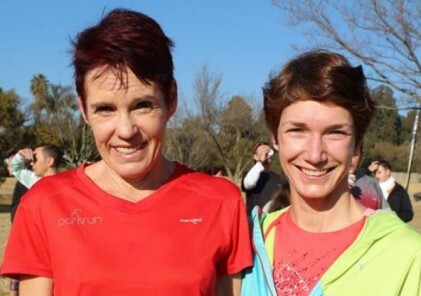 However, girls do it their way and we have 6 strong teams lead by Run Directors Hantie van der Westhuizen, Christelle van Wyk, Liezl Clause, Mandy McGregor and Mariaana Poole, who all are willing to walk the extra mile, and as dedicated as Ron and Koot together. What makes your parkrun unique? parkrunners get to know each other quite well and it often looks like a family reunion just before 8:00. It definitely is something to get up for on a Saturday, not only to run, and makes a weekend that can be very long for some people a highlight of the week. What is the route like? We are lucky that it is on paved roads which makes it one of a few wheelchair friendly parkruns. It also allows parents to run with young kids in strollers. You might think it is flat but “the hill at the back” can be quite a killer, especially on windy days. But totally doable for all ages. 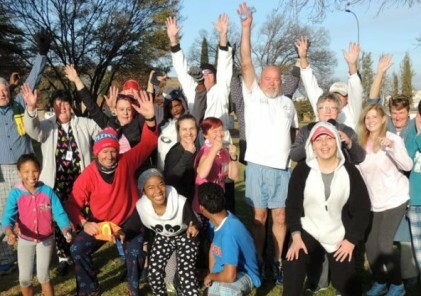 What is the typical St Francis parkrunner like? We have a good range of older retired people, to young families who come with the strollers or kids on their backs. We also are a dog loving community and if you have your dog on a leash with a poop bag, you are welcome. A merry mix between walkers and runners. Quite a few of our parkrunners have gone on to complete longer races - Koos van Wyk recently did the grueling 44km Addo Trail Run, and it all started by parkrun! What are the facilities like? Our parkrun is hosted by the St Francis Links, so ample parking is available in a secure area, very close to the start/finish, with toilets and a restaurant in the club house. What is the one thing a first timer to your parkrun should know? Never pass a local! That is the standard joke on the starting line – if you pass a local, you will have to buy breakfast. More seriously – no barcode, no result! And first timer volunteers – the cones must be straight.